Comment: this is Georgia, US-based musician Dave Fuglewicz`s tenth issue which originally has been issued on two tapes in 1996. It consists of 12 compositions, however many of them are being longer than 10 minute thereby reaching a total time of 1 hour and 55 minutes. Musically it harks back to those golden Kosmische Music/krautrock/minimal synth days when the artists like Konrad Schnitzler, Symboter, Klaus Schulze, Tangerine Dream, Cluster, Harmonia, Monoton and many other ones started to experiment on synthesisers and sequencer machines to create slightly psychedelic and dreamy electronic landscapes and acid fringed items to broaden the listener`s (sub)consciousness. More profoundly, it was frequently a fertile shift between calmed harmonic progressions and more intense rhythmic patterns and resonant swelling in chord progressions to conjure up different perceptions at the same time. Because of his dreamy approach the album chimes in a hyper-realistic manner now and then. Fuglewicz`s sound is replete with quite intense droning and tranquil wobbling of such electronic keyboards as ARP 2600, and ARP Odyssey and one Casio keyboard and all that sound has been recorded on Vesta-Fire MR-10B four track recorder. The listener could perceive the tracks with flourishing analogue quality. In a word, the result is an outstanding issue which is worth to be kept alive for future days. 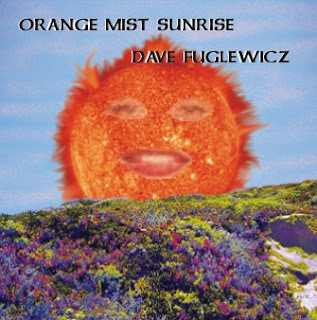 Of course, let`s discover other issues by Dave Fuglewicz either.